So first this is the bag I took, this is my school bag, I wasn't going to take this bag but my other bag didn't for everything in. 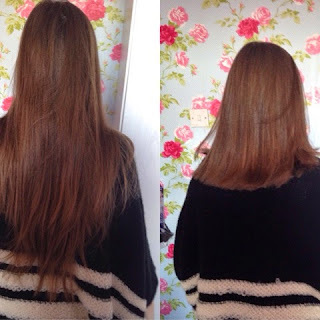 It is from Accessorize last summer. The first thing in my bag was a magazine and it was of course Company magazine. 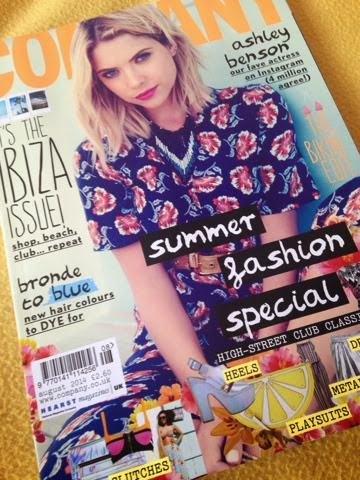 I love Company and also Ashley Benson was on the cover and she is amazing and I love Pretty Little Liars, so I had to get it. This was for on the journey when we got bored, because it was around a four hour journey! 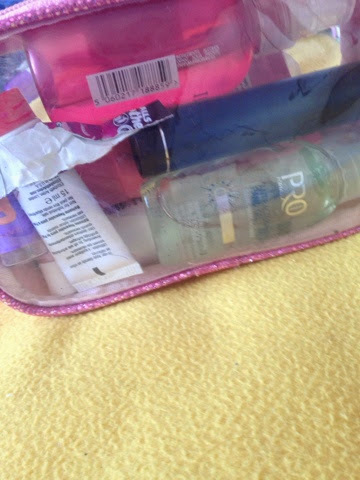 The next thing was a makeup bag full of little essentials. Tissues, Masscara, a lip balm, a BabyLips, two Collection Cream Puff lip moisturises, my Elizabeth Arden 8Hour cream. 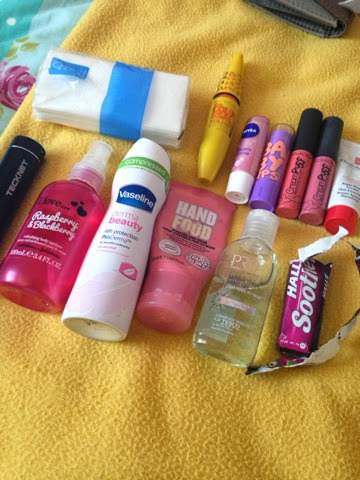 Then, my phone charger, body spray, deodorant, hand cream and hand scantizer and some soothers! 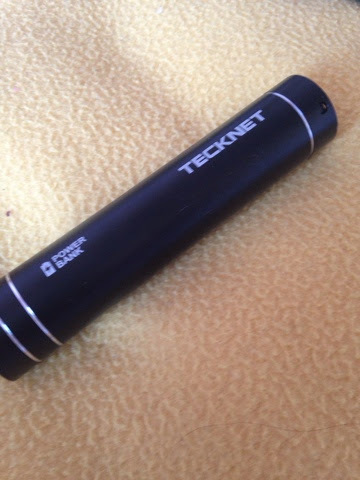 This is my phone charger all I needed to do was plug in my phone cable and it would charge my phone, and it came in handy as I did need it! 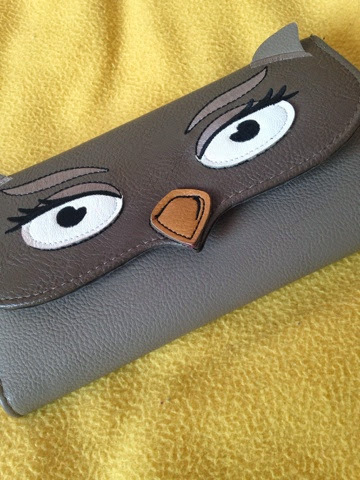 I also took my purse, what is a cute owl, because I took money for food on the way home and also for stuff at the gif shop. 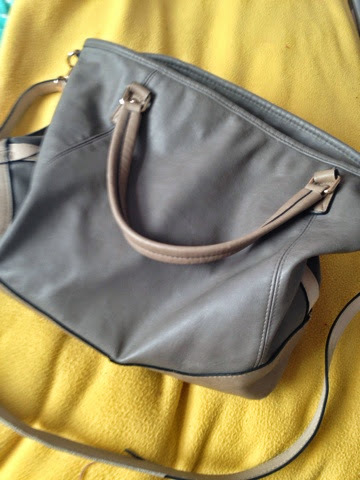 My purse is from New Look as well. 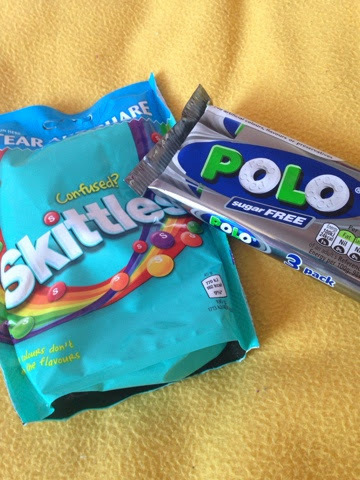 We all took some sweets, I took Skittles Confused, what are just one of my favourite sweets and I also picked a pack of 3 packs of Polos, what I also love however I some how picked up the sugar free ones, that are okay. 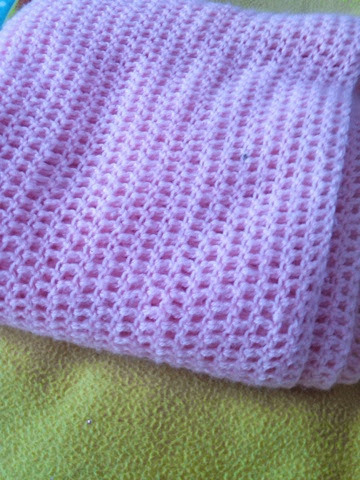 This most probably was my most used thing I took and it was my blanket, yes I took a blanket. I had been up since 6am that day and we all were tired on the way there but on the way home we were more tired and all fell asleep. 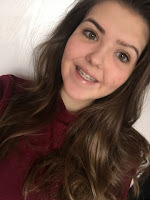 Also I was freezing as I wore shorts and on the way home I got supper cold because my friend sat next to me had her air conditioning on and the big air conditioning machine thing was right next to were I sat! Bed socks and PJ bottoms! That's all I have to say comfortable! I took these for on the way home but at the service station we were in a rush to have our dinner and I was too tired to change from my shorts but the bed socks I wore the whole way home! 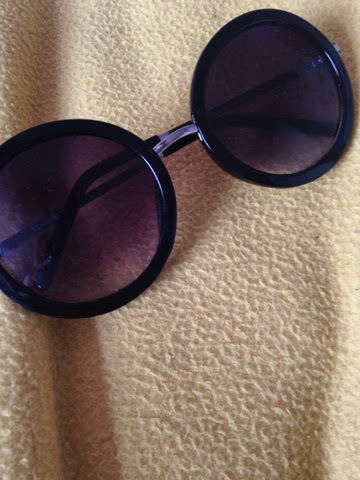 Finally I took sunglasses because on the motorway it gets sunny! Also we saw the sun partly set so it also got sunny on the way home. 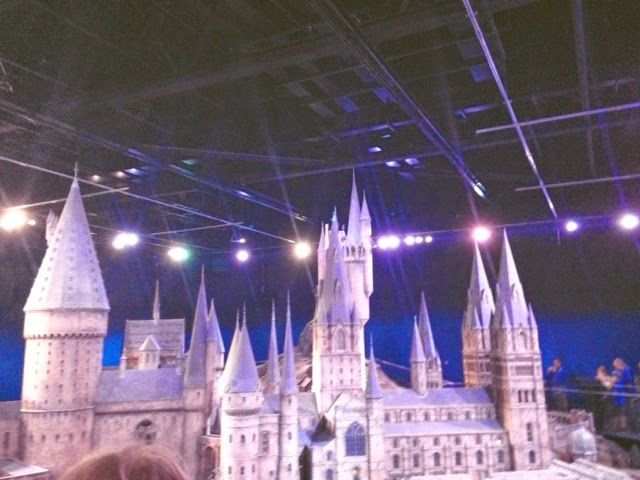 As well as that there is an outside bit at Harry Potter Studios but it wasn't that sunny then! 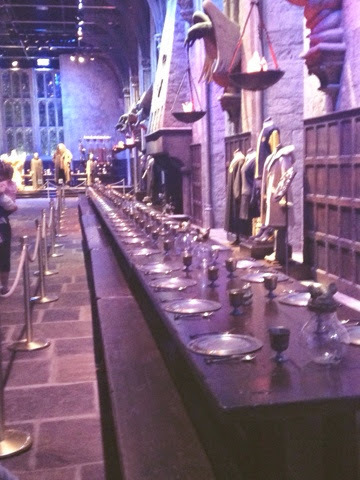 Here are some pictures I took that day! 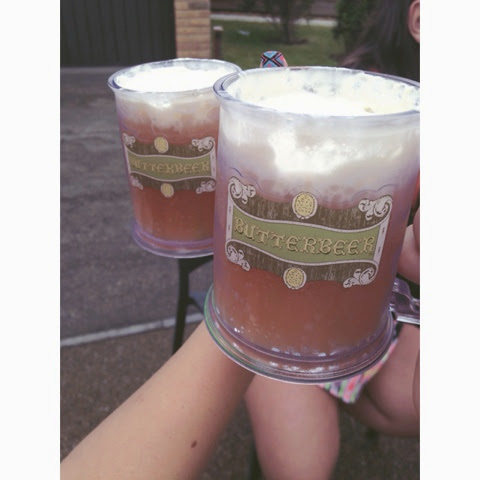 Butterbeer, this is so sweet and is kind of nice kind of not nice. 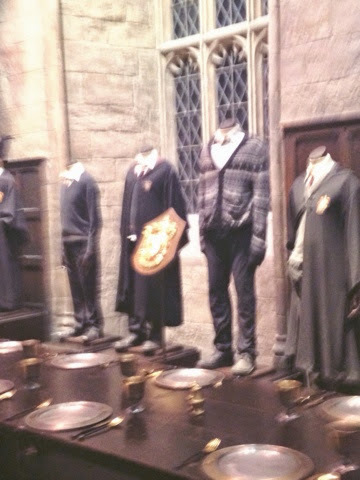 Gryffindor uniforms that were used on set. 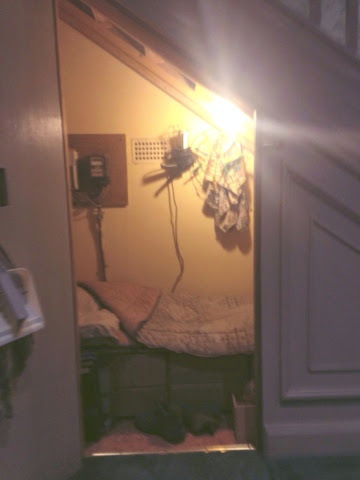 Harry's under the staires bed room. 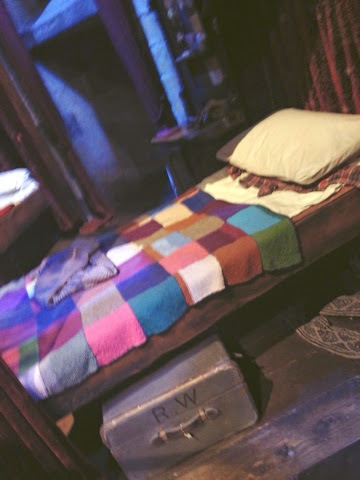 And finally Ron Weasley's bed in the boy's dorm!